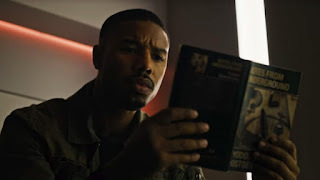 Michael B. Jordan, who plays Erik Killmonger in "Black Panther" is on the cover of Men's Health and talks about playing a black man in Fahrenheit 451, meeting the basketball star and more. 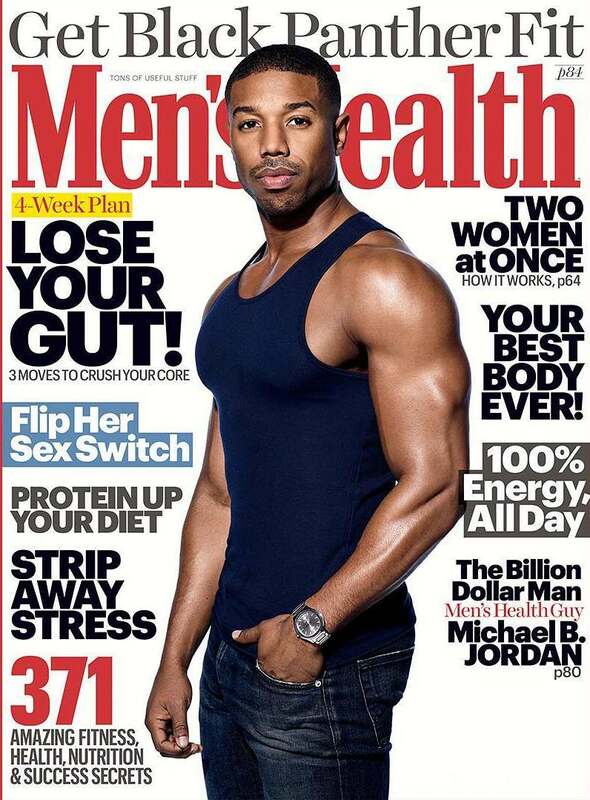 In the May issue of "Men's Health" magazine, they talk with Jordan about a lot of things. His rising status in Hollywood, his activism, and, of course, his workout routine. Along the way, they also talk about some very deep stuff reminding us that he's a well-rounded and versatile actor. 1. 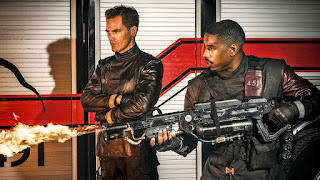 Jordan Almost Didn't Want to Play an "Authority Figure"
31-year old Jordan plays Guy Montag in HBO's "Fahrenheit 451" which he also executive produced. But it wasn't always that way. Based on the classic 1953 dystopian novel by Ray Bradbury he plays a "fireman" who seeks out and uses a flamethrower to destroy books censored by the government. It premieres this month, Jordan understands how contemporary the message is. But he wasn't sure he wanted to play an authority figure. Michael B. Jordan also recognizes that character isn't "traditionally written for an African American." Even though he broke racial norms to play the typically blonde-haired Human Torch in Josh Trank's "Fantastic Four" he still wants to keep the role authentic. "That was important to me, to create an example. That it can work. The best actor should get the job regardless, as long as it's not conflicting with the facts of a character." He offered a sly smile and added: "I couldn't play Wonder Woman, right?" He has his own production company named Outlier Society and last March, he announced that they would adopt inclusion riders — contract clauses mandating diversity — for all of its projects. "Technology has a lot to do with it," Jordan says. "Everyone feels connected. Some person somewhere with an opinion can go online, say what they want, and it's in front of everybody. It's easier for people to unite, stand behind one another. I think history repeats itself. There's a constant conversation between the oppressed and the oppressor. No matter what your field is, whether it's gender equality, the Time's Up movement, or diversity casting, it's always going to be a back-and-forth battle. But this time it does feel different. Sometimes you need to have the same conversation over and over until it sticks. Maybe this is the time it starts to stick." 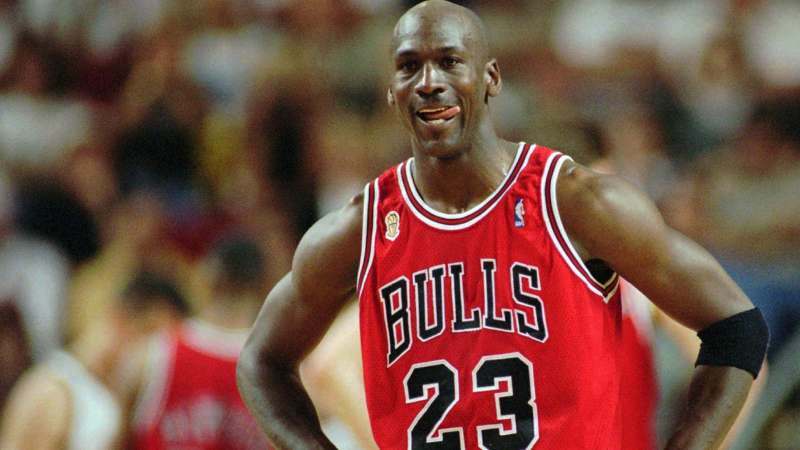 Michael Bakari Jordan is named after his father Michael A. Jordan, but people always ask him if he's met the famous NBA player Michael Jordan. The answer is: no. "I never met Michael Jordan," Jordan confesses. "I never want to officially meet him until I’m at a point where he knows who I am and I know who he is. And it would be our mutual respect thing. Until then it would just be a ‘this guy has your name, haha.’ I don’t want that. So that pushes me to keep working too. These things motivate me." Maybe they'll meet in "Space Jam 2". 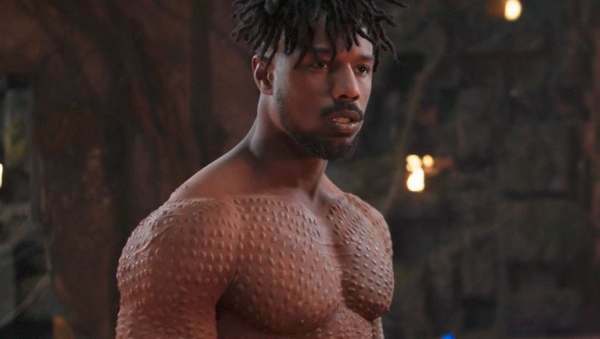 When preparing for his role as Killmonger in "Black Panther" he did some old school workouts to add beef to his frame. The magazine lists eight exercises that he does. It's a pretty good article and worth the read so pick up your copy of Men's Health if you want to learn more.